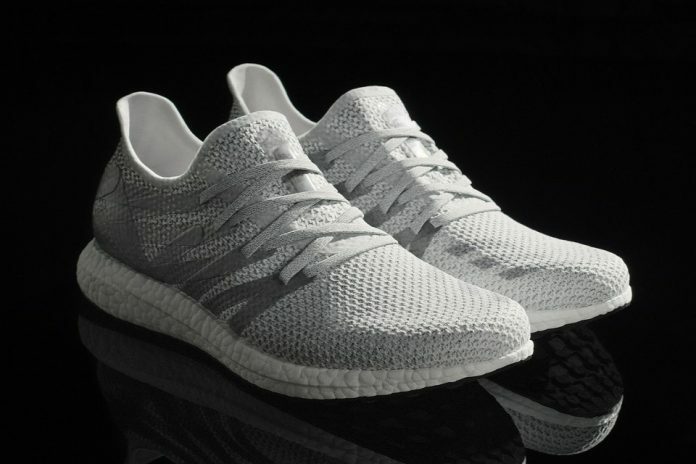 adidas has unveiled the adidas Futurecraft M.F.G. (Made for Germany) shoe – the first product created at its industry-changing SPEEDFACTORY facility in Ansbach, Germany. Adidas unveils first futurecraft shoe created at industry-changing SPEEDFACTORY facility. The Futurecraft M.F.G. shoe features innovative technology and has been designed to provide the ultimate fit. This is the first high performance footwear to come out of the adidas SPEEDFACTORY and will be part of adidas Running. Adidas’ first SPEEDFACTORY in Germany will allow the company to manufacture products in increasingly high volumes with advanced complexity in colour, materials and sizes. Last month, the company announced that it plans to open a new, state of the art footwear production site in Atlanta next year that will create around 160 new jobs. “The launch of the adidas Futurecraft M.F.G. is a defining moment for the industry. With SPEEDFACTORY, we have an industry-changing innovation that can be placed anywhere in the world – taking the lab to the street. It gives us the opportunity to combine unique manufacturing speed with the flexibility to rethink conventional processes. The starting point on this journey is the adidas Futurecraft M.F.G. and our ambition is we will give consumers what they want, when they want it,” said James Carnes, Vice President of Strategy Creation at adidas. “From a design perspective, SPEEDFACTORY presents us with the opportunity to explore new ways of creating the perfect shoe. The facility allows us to use data and analytics to shape the future of performance product – we can create a shoe using real-life insight, which can then provide real benefits to the athlete. The adidas Futurecraft M.F.G. is the start of an exciting journey,” added Ben Herath, Vice President of Design at adidas.